I have been so busy with DT work this past few days that I am all out of cards to post so I thought I would post some candy. Letraset have once again provided a set of Promarkers, I have two Lili of the Valley stamps, a pad of Memory Box Spearmint papers (my absolute FAVE papers at the mo) and some roses from Wild Orchid Crafts. So sorry this is soooo late, hit the ground running this morning and not stopped till now for a cuppa lol. This weeks winner of the Tilda on the Loose Magnolia stamp kindly sponsored by Simon Says Stamp is Christa. Congratulations sweetie, please email me to claim your prize. Please put Tilda on the Loose Magnolia stamp in the email subject line. I have just realised I didn’t do the draw for my Simon Says Stamp candy – I will get it done this morning. I also didn’t get the Lili of the Valley candy posted on the Ideas to Inspire blog – I’ll go get that done shortly too. But in my defence I managed to get 9 DT cards made yesterday (and went to bed cross-eyed early hours this morning lol). Today I have a Stampavie card to share, the image is called Dearest Deer and is from the new winter collection that should be in your fave craft stores soon. The paper is Basic Grey Eskimo Kisses left over from last year. The sentiment is Elzybells. I used a Martha Stewart deep edger punch and the ribbon I picked up at Hobbycraft. The cute heart button was from a selection I got from a friend. The flowers are natch from Wild Orchid Crafts. I used 35mm wild rose and 15mm roses. I’ll be back in a wee while to post the candy winner. I have more Promarker/Lili of the Valley candy to give away this week too so keep ya eyes peeled. Today sees the launch of the new ROCK SQUAD in Kenny K's shop and to celebrate we are doing another blog hop. Each DT member will be featuring 2 or 3 images from the new release, and the theme for this weeks challenge is MUSIC. Each design team member will be featuring two or three images on their blogs for your inspiration.We will be using the same theme as the challenge – Music, and we have the most amazing prizes up for grabs (pics at the bottom of this post). Sharon had a brilliant idea and used both her allocated images on one card and me never missing an opportunity cased her idea lol. My two images are Elena K and Groove Dude which I have coloured with Copics. I didn’t make a note of the numbers as my granddaughter decided to help Mam-mar tidy up and put all the pens back in the bag, so sorry I have no idea which pens I used lol. The gorgeous papers are Cloud 9 Designs – Sparkle Dog Circles and Stripe from Dies to Die For, aren’t they just fab! LOVE the colours and the papers are glittered and the glitter has then been coated with something like Glossy Accents so the shine is ultra shine. I cut some stars out with a Sizzix die then coated them with Glossy Accents. Wanna see the brand new Martha Stewart Around the Page punches – then take a look here. OMW I have already got my order in for them lol. All you need to do to enter the draw is leave a link to your blog so I can find you and if you fancy, mention it on your blog (that would be great, but not necessary to be in the draw). The winner will be announced on Sunday evening. You can't use my URL as it can only be used once in Inlinkz so you may want to consider setting up a blog or using your email address as the URL. If you leave out some of the letters in the email address it will still work and your email address will not be there for the www to see. We have another fab sketch by Dawny P for this week’s Just Magnolia Challenge, and we’reare being sponsored by Quixotic Paperie. Ooooh yes, another easel card lol. The gorgeous papers are Gossamer by Memory Box, they are so so pretty. Mmmm pink and green, haven’t done this combo for ages. The flowers are all from Wild Orchid Crafts natch, and are Classic Sweet Rose, 20mm roses, 15mm roses, cherry blossoms, 8mm semi open roses, 4mm rose buds and stamens. The lacy dragonflies are another of my new Doo Hickey Dies – I so hope they are planning on some lacy snowflakes – oh they would be simply stunning!! Let’s hope if they do they release them in time for us to use them on this Christmas's cards lol. I LOVE these penguins lol. I don’t think I have ever seen cuter penguins, love those little chubby faces. The Lili of the Valley challenge this week is let’s go dotty about circles, we want to see dots/circles on your creations. A close up of the floral snowflakes, I die cut the snowflakes from a Marianne D die and also a Punch Bunch starburst punch then popped 15mm roses in the centre. I used a Bazzill Bling Template to create the swirls with some rhinestone gems, the large rhinestones are buttons. 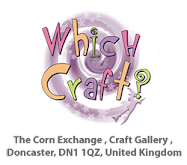 The papers are from 2 Wild Rose Studio packs – Polka Dots and Candy Floss. The lace die is by Spellbinders (Grand Lace). The sentiment is from Crafty Sentiments. Lots of stickles on the igloo and the ground for a bit more bling. I am hitting the road first thing this morning to meet up with my fabby mate Jacqui – we are doing a Copics course, I can’t wait!! I’ll let ya know tomorrow if we behaved ourselves lol. What a job I have had to get Random.org to work, it’s been timing out all evening, so sorry this is late. The winner of the Promarkers candy is number 17 – Donalda. Congrats hun, please email me your address to claim your prize. I’ll run another Promarkers candy after the weekend. I managed to get another card done using one of Mo Manning’s sweet images. I love love love them lol. How sweet is this little Angel with her puppy! I think the papers I used are K & Co and Basic Grey but not sure as they were in the scraps drawer. The scallops under the striped piece were made by punching out 3/4” circles and sticking them along the bottom to give a scalloped effect. The gorgeous flowers were made with my new Doo Hickey flower die from Bunny Zoe’s Crafts – I am in love. I die cut them from glittered card then swiped some Broken China Distress Ink around the edges and popped 15mm roses in the centres then attacked them with Stardust Stickles. The crystal stems and 25mm Organza ribbon were the perfect matching colour. Mo …. we need more angels lol. I’ll be back later this evening with the Promarker candy winner. I am chasing my tail this week as I am out all day Thursday doing day one of a Copics Accreditation course with Jacqui (can’t wait) so need to try and get ahead of myself with DT work. I also want to say a big thank you to one of my sweet followers Alice who sent me the most gorgeous bouquet of pink roses. Thanks sweetie, from the bottom of my heart xxxx. Also a big thank you to the girls at Crafters Companion who also sent me a stunning bouquet of flowers – you girls are the best xxxx. Two Stampavie DT cards from me in a row lol. We have a colour challenge for this weeks Stampavie Challenge – Craft, yellow, turquoise. My heart sank to my books when I saw the challenge lol. I don’t have any kraft card and yellow is not a colour I use a lot. I had to dig deep thru my designer papers to find something that would fit with the challenge and do you know for the life of me I can’t remember which papers they are. Talk about senior moments lol. I think it may be DCWV but not 100% sure. Thank goodness I had some cardstock similar to kraft. Why can’t we get it here in the UK? I’ve tried everywhere and SU have it but it comes in a mixed pack and I ain’t paying SU prices for white, grey and black card that makes up the pack that’s for sure. I have used Gillian Roberts image Crush on you and coloured the image with distress inks. The flowers are all Wild Orchid Crafts natch, as are the pins. I used 30mm wild rose and 15mm roses. 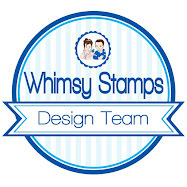 The ticket stamp is from Whimsy Stamps. The senitment was made for this stamp I think lol. Before I get involved in today's post I just want to let you know that I was so late putting up the weekly Lili of the Valley blog candy, but it's up now so pop across to the Ideas to Inspire blog to enter. We had over 550 entries for the last Wild Orchid Challenge, wowzers! And I have a feeling we are going to have another good challenge this time round, the challenge is Make it Sparkle and we have two prizes up for grabs this week, the lovely Lisa and Laila from Lili of the Valley are sponsoring four stamps from their latest Christmas Animals release. So get out your sparklies and bling and get crafting girls lol. I received my new DT kit from Stampavie last week full of the most gorgeous autumn and winter Sarah Kay stamps. It was Sarah Kay images that got me addicted to stamping a few years ago and I am still as in love with them now as I was then. How gorgeous is this image!!! I have coloured the image with Copics (I’ll will list the colours at the end of the post as I used a LOT!!) I wanted the “anorak” quilted effect to show on her jacket and thought it would be a stinker to colour, not so. It was really easy to achieve. The papers are Making Memories Mistletoe from Quixotic Paperie (I am sooooo glad I ordered spares of this pad, every sheet is gorgeous). I cut the doily from one of the Marianne D dies that I got from Cutting Edge Crafts and I added some Diamond Stickles to the embossed swirls for some sparkle. I also added the Stickles to the snow, the edges of the flowers, the edges of the image and paper (after I stitched it with some gold thread). The sentiment was in a grab-bag that I picked up off Ebay yonks ago. The cream guipure lace is from Wild Orchid Crafts, I spritzed it with Old Lace Glimmer Mist to age it a bit. The green crystal stems I chopped up into small bits to fit in the arrangements. I used 30mm wild rose, 20mm roses, 15mm roses, 10mm roses, 5mm rosebuds and cherry blossoms in the arrangements. A close up of the gorgeous flowers and detail on the image. Love her boots and her beanie lol. Here’s the candy I promised earlier. Once again Letraset have been so generous and given me some Promarkers to give away as candy. I’ve added a Lili of the Valley stamp to the candy as well. All you need to do to enter the draw is leave a link to your blog so I can find you and if you fancy, mention it on your blog (that would be great, but not necessary to be in the draw). The winner will be announced on Wednesday evening. Well, after the dodgy start with using Inlinkz for the first time I think it worked just fine, and unlike Mr Linky didn’t go down once. So I think I will be sticking with Inlinkz for the candy draws. So, the winner of the CHRISTMAS MORNING TILDA is Daisychain. Congratulations sweetie, please email me to claim your prize (please put Christmas Morning Tilda in the subject line. We have another sketch by Donna for our Kenny K Krafty Girlz challenge and it’s a brilliant one too. I have used All That for my card, loving that hat lol. I had a bit of a change with the background and tried photographing on a black background for a change. I coloured the image with Promarkers, I had a good old play with them yesterday and got a colour combo for the skin that I really like. I love how well Promarkers blend too – now I need them to release some more colours lol. The flower I made by punching out 3 large and 3 medium Retro Flowers (EK Success punch), scrunched them up then layered them and fixed in place with a brad. The bling was a little piece I had left in my bits box. Thanks so much for stopping by today, enjoy the rest of your Sunday. I am going to try and get some more backing papers made, I’ll pop a post on later if I get them done. Post Edit: I have had an email from someone without a blog saying she can't enter as my URL has already been used. Inlinkz is a trial this week as the emails I was getting when unreliable Mr Linky was down was getting to be a burden. All I can suggest is that if you don't have a blog you either set one up or use your email address in the URL. I have so much on my plate right now with a poorly husband and granddaughter that I really can't be faffing on with a linking system that keeps on going down. Sorry if this comes across as short but today has been a day from hell. Our challenge on Just Magnolia is “lets get sentimental” so we would like to see a sentiment on your card/project. Hpw’s that for nice and easy hey! I have made another Christmas easel card – no surprises there then lol. The papers are Eline’s Old Fashioned Christmas, they are truly sublime! So vintagey, chock full of aquas, browns, pinks and creams – my favourite colours. The doily behind the image is a Marianne D die, that I picked up when I got the Christmas paper. I was originally just going to have the Be Merry sentiment on the top part of the card but it was overpowered by the flowers (get real Bev –the challenge is Sentimental!!) so I added the Elzybells Cosy Winter Wishes sentiment to the bottom of the card. The lace was originally cream, so I spritzed it with Creme de Chocolat Glimmer Mist to die it brown. It faded a fair bit as it dried but I really like the uneven, grungy look the mist has given the lace. The gorgeous flowers were given a spritz with Old Lace Glimmer Mist to dirty them a bit. I used Classic Sweet Rose, 30mm wild rose, 15mm roses, 4mm rose buds, 8mm semi open roses. The pink pearls are also from Wild Orchid Crafts. I love this image so much I might have to give this one away for this week’s Simon Says Stamp Saturday Surprise lol. Fancy a little bit of candy? ?